Prominent journalists including the late Pulitzer Prize-winner Charles Krauthammer, have written that doctors are leaving the practice of medicine because adopting and using electronic health records (EHRs) is frustrating and debilitating. Not so, according to new research from the University of Notre Dame, which shows that basic EHRs actually have increased doctors’ tenure at hospitals, whereas advanced EHRs caused doctors to shift to other hospitals. The study found no evidence of retirements as a result of implementation. 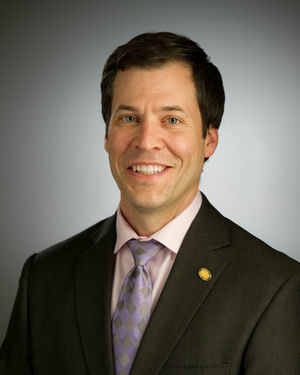 “The Mobility of High Status Professionals after the Implementation of Enterprise Information Systems,” forthcoming in Information Systems Research by Corey Angst, professor of IT, Analytics, and Operations in Notre Dame’s Mendoza College of Business, examines how the implementation of basic and advanced EHRs influences the ability of organizations to retain highly trained professional workers. The researchers used information on the mobility of physicians from the Hospital Inpatient Dataset provided by the Florida Agency for Health Care Administration (AHCA), which provides detailed accounts of each patient admitted to Florida hospitals in addition to information on where physicians have been treating patients during the course of the sample. Data regarding EHR implementation were retrieved from HIMSS Analytics, a nationwide survey of healthcare delivery organizations, granting access to information regarding hospital level adoption of EHR systems at the module level, as well as organizational characteristics such as for-profit status, teaching, specialties, vendor information and size, at the year level. When combined, the data offer information regarding physician employment and EHR implementation at the physician-hospital-year level between 2000 and 2010. Advanced EHRs, which utilize CPOE (Computerized Physician Order Entry) or PD (Physician Documentation), are known to be more disruptive to doctors’ routines. Basic EHRs, on the other hand, are more automated but also have been in use longer so doctors are more comfortable with them. Angst says his team’s study offers reassurance that doctors won’t be scared off as hospitals continue adopting new technologies — as long as they’re not too disruptive to routines. Coauthors of the study include Brad Greenwood, University of Minnesota; and Kartik Ganju, McGill University.